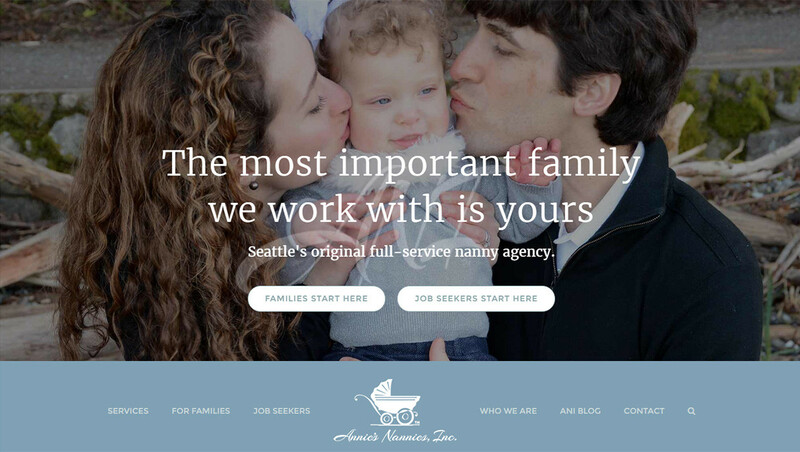 This is Annie’s Nannies of Seattle’s 5th Website developed by SDG. ANI has been a valued client since 2003. 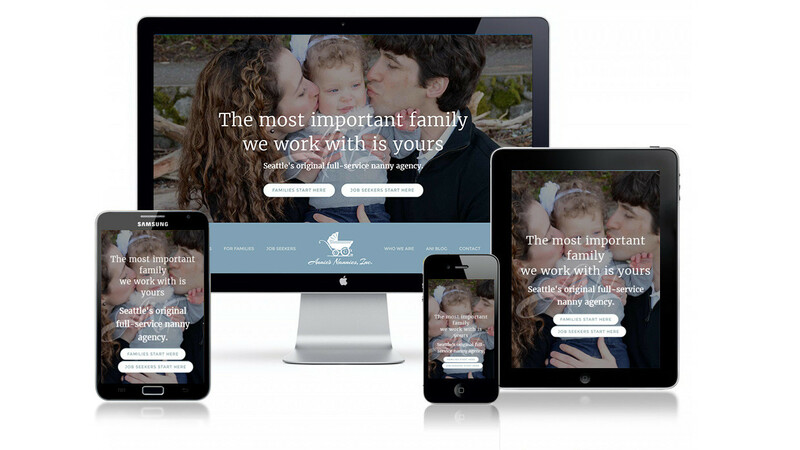 We have developed nanny agency Websites for not only ANI, but several of ANI’s closest associates within the nanny agency industry. 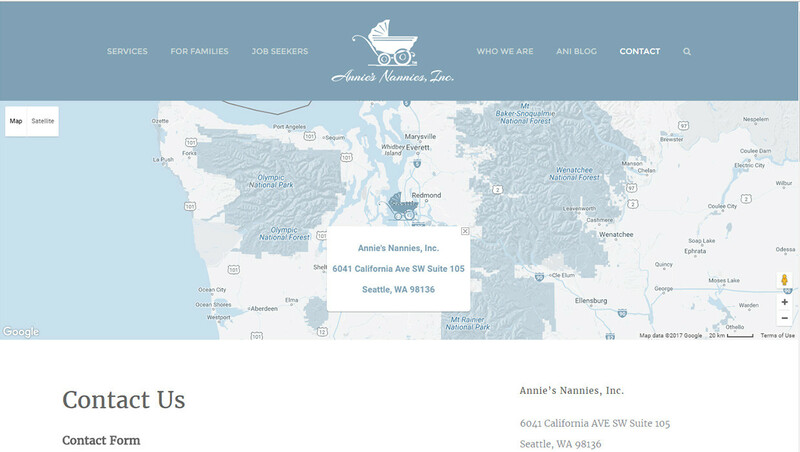 Annie’s Nannies of Seattle has been a premier childcare source for Seattle parents for over 30 years!